We are a leading Manufacturer & Exporter of Operation Theatre Lights such as Hydraulic Operation Table, Cold Light Source and Operation Theatre Fumigator from India. 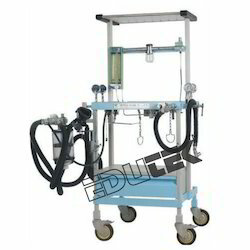 With our proficiency in this domain, we manufacture a wide range of Surgical Trolley as per the defined industry standards. 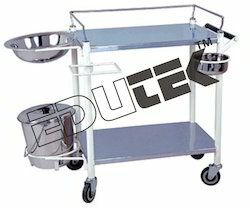 The trolleys have three stainless steel shelves and are mounted on 5 cm swivel castors. 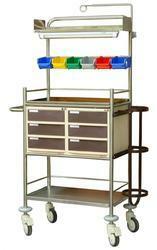 Having strong steel structure, these corrosion resistant trolleys are highly demanded in clinics and hospitals. These have three side railings and are available in 600 (L) x 475 (W) x 1000 (H) mm dimensions. Trolley made of Stainless steel construction with castors on all four sides to move in which two of the castors with break and two are without breaks. Provided with two shelves and two drawers provided under the upper shelves both side railing provided as the handle to move the trolley from one place to another place made of stainless steel. Both shelves made of stainless steel. Of heavy gauge. Our company is engaged in offer qualitative range of Folding Stretcher (Canvas) as per the demands of our esteemed clients. 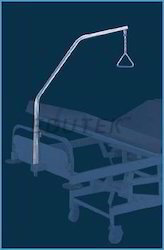 These are sourced from our trusted and reliable vendors that ensure only optimum quality product is delivered at industry leading prices.Folding Stretcher made of best quality fabric sturdy with folding frame, heavy metal pipe on the both sides and cross strip provided on the both side of the stretcher to open or to close the stretcher, Rubber handle to carry the unit, available in different colors standard size, Light weight easily foldable. Fabric quality tatron material with stretcher size 22"x 84" with pole size of 7 fit each side four heavy metal strap U shape fit provided to hold the stretcher above from the earth.